Scientists from the Universities of Southampton and East Anglia are set to begin a unique study that will explore the behaviour of bees to help understand the process of ageing in animals, including humans. 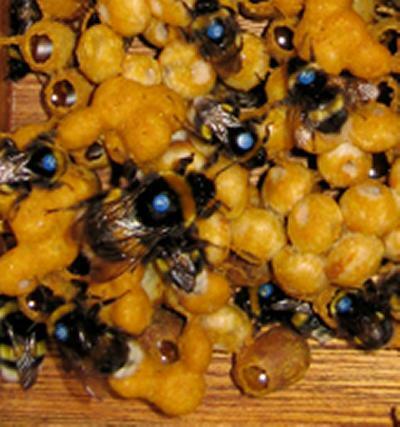 Professor Andrew Bourke of the School of Biological Sciences, University of East Anglia, and Dr Joel Parker of the School of Biological Sciences, University of Southampton have been successful in obtaining a £503,000 grant from the Natural Environment Research Council (Nerc) to investigate what happens in bumble bee colonies as queens age. The research on kin-selected conflict over the evolution of lifespan and ageing is led by Professor Andrew Bourke, whose team will study the bees' behaviour in around 100 hives over the three-year project, which will start this autumn. Dr Parker and a post-doctoral researcher will contribute to the study by carrying out laboratory investigations into how genes in the bees are switched on or off as family relations within the hive deteriorate. Professor Bourke says: “As queen bees age, they produce fewer offspring, which provokes conflict over the inheritance of resources. Bumble bees are widely used by commercial nurseries to pollinate crops. The insects to be used for this study will be purchased from commercial suppliers.